In order to make your SUP experience the most memorable (and comfortable) it can be, it’s important to choose the best clothing for the job. 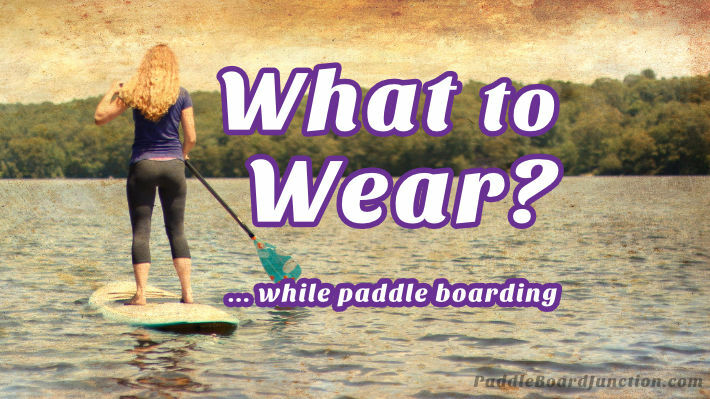 In this article, we’re going to cover some of the dos and don’ts for what to wear while paddle boarding. Since paddle boarding can be an intensive sport that raises your body temperature, wearing a few different layers is a good rule for spring, or any of the cooler months for that matter. Long sleeve workout clothes should typically do the trick, but on a colder or windier day it’s a good idea to take a windbreaker or light jacket, as well as some quick-drying water shoes. 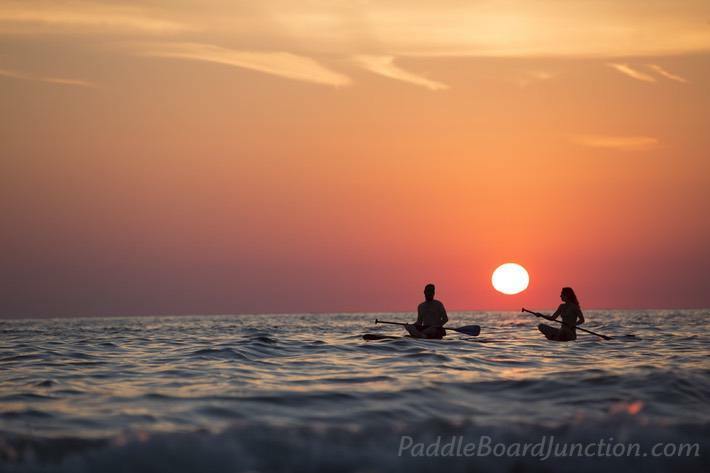 The most popular of paddle boarding seasons, summer is a great time to get out and enjoy the sun and water. Board shorts and rash guards are some of the most commonly recommended clothes for the warmer weather, since they not only dry quickly, but also provide extra protection from the sun. For extra SPF protection, consider wearing a hat and remember to use plenty of sunscreen. If the day is especially warm, put on your swimming suit, slather on a little extra sunscreen, and occasionally go for a swim to cool off. As the months begin to get cooler, layers will become your best friend once more. 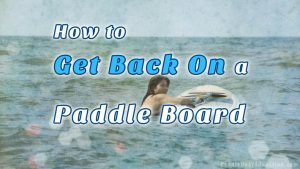 Make sure to regulate your temperature and take off/loosen layers as you go, because as soon as you start to feel warm, you will begin to sweat, which can be very discomforting while paddle boarding. And, since the water is colder, you might want to consider purchasing neoprene boots, which are similar to water shoes, but they also keep your toes warm. No season is off-season for the adventurous paddle boarder, and for those of you brave souls who wish to embark on such a journey, there is clothing just for you! If you are going out on flatwater, some thermal underwear and waterproof trousers and top should do the trick. However, if your heart is set for surfing on the waves, a safer bet would be to wear a full-body wetsuit, gloves, hat, and neoprene boots. This outfit will do a much better job trapping body heat in, while keeping water out. Regardless of the season or type of adventure, safety should always come first, and it is important to take the necessary precautions to ensure a fun, and safe, experience. In fact, SUPs are technically considered a vessel, and the United States Coast Guard requires paddle boarders to carry a life jacket or other personal floatation device (PFD’s for short) when outside of swim and surf zones. There are many different types of PFD’s, each one specializing in a different purpose. When it comes to SUP, there are three major types of personal floatation devices: Type II, Type III, and Type V, and each one has its own purpose and strengths. Type II – Made for calmer conditions and inland waters closer to the shore, where you are more likely to be quickly rescued. Designed to make sure the fallen rider is face-up in the water. Type III – Floatation aids. Comfortable to wear, easy to move around in. Best for an area where you will quickly be rescued. Designed to put riders face-up, but the rider might have to tilt their head to stay in the proper position. Type V – Special-use devices. Have to be labeled for a specific purpose to be USCC certified. Some of the devices in this type are known as hybrid devices, and can be inflated or deflated as needed, acting as another category. For example, inflatable belts are a Type V, but act as a Type III. The life preserver you choose will greatly depend on the type of paddle boarding you prefer. For example, surfers and experts who like to keep their body free for a wide range of motion should probably consider an inflatable belt. Inflatable belts only operate on command by the pull of a cord, keeping the user afloat while leaving the arms free to tread water. Non-inflatable jackets are the safest and typically the most cost-effective option, though the least comfortable. Inflatable vests are a mix between inflatable belt and non-inflatable jackets, providing the rider with the comfort of a vest, but also the choice of whether or not they require floatation when in the water. And, for those paddle board enthusiasts who don’t shy away from challenging waters, Type I vests are designed for longer survival in the water, often with reflectors that make them easier to spot. Dry bags are a great way to carry extra layers on your paddle board. Often coated in plastic, these bags are waterproof and can be easily strapped down to your board, allowing you to be comfortable and prepared for any weather conditions without having to get out of the water. Cotton: When wet, cotton becomes extremely bulky, heavy, and downright uncomfortable to wear. Try to steer clear of heavier materialed clothes. Wetsuits: While wetsuits can come in handy in colder waters and winter months, most of the time, you won’t need one. The exercise will keep you warm enough if you have layers. Shoes: Paddling without shoes will be far more comfortable for your feet, since you have to constantly adjust your positioning and posture, but if you wear shoes, the best options are water shoes and booties. When it comes to choosing the perfect outfit for your SUP adventure, there are a couple of factors to keep in mind. In cooler months, the best option is to wear various layers that can be easily adjusted, and the exercise should keep you fairly warm. Whenever possible, consider wearing waterproof or quick-drying clothes. In summer, take extra care to protect yourself from the sun with sunscreen, rash guards, hats, or all of the above. And, regardless of the season, it is always important to follow regulations regarding safety. Happy paddling, folks!